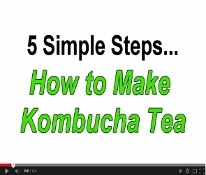 The #1 place online to learn about Kombucha Tea and buy Kombucha products. More than 100,000 HAPPY CLIENTS in 75+ countries since 2004! Author, Master Brewer, KKamp Founder, Community Educator, Commercial Consultant, Trade Association President, and Kombucha Ambassador to the world. 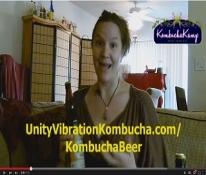 Top 10 Reasons to Trust the Experts at Kombucha Kamp! We're here to guide you to brewing success! Helping the digestive tract – the combination of probiotics supplied to the gut and low pH to support stomach acidity, has led many people turn to KT (along with a nutritious diet) to help regulate their digestive systems. 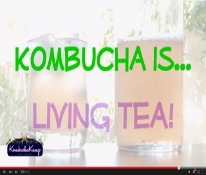 Also, Kombucha tea is known to kill the h. pylori bacteria on contact – the same bacteria linked to ulcers. Liver detoxification – compounds found in KT may bond to and help excrete toxins from the liver. Studies have demonstrated that it may also help the body protect itself against environmental pollutants and even radiation! 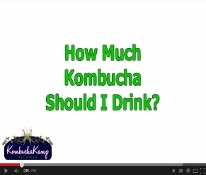 Reducing cravings – because it is an adaptogen, Kombucha’s effects are varied. Many people drink it as pre-meal hunger control and even to reduce cravings. 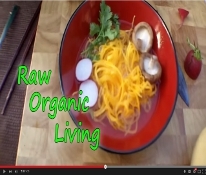 Others may find it helps settle an upset system and thereby boost appetite. 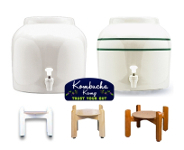 Also, Kombucha tea is relatively low in sugar, especially when compared to commercially-available sodas, energy drinks, juices or even many tea drinks that can contribute to weight gain, which makes it a delicious and healthier beverage alternative. 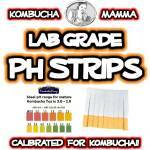 Athlete support – some drinkers have even reported improved flexibility and fluidity of movement, including athletes who swear by the Booch as their post workout recovery drink. 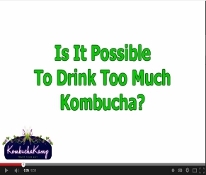 This could be because there are studies showing properly brewed Kombucha contains specific joint-healthy substances, or the precursors the body needs to make them, like Glucuronic acid, Chondroitin sulphate and Glucosamine, for example. Many say the hydration they experience from consuming Kombucha to replace fluids lost while exercising is far superior to commercial sports drinks or water. hundreds or maybe thousands of years by civilizations all over the planet. better digestion, increased energy, and a clearer mind. free e-book and DIY Guide. 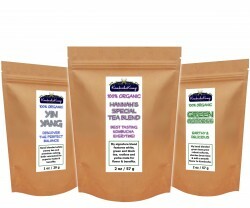 My landlord loved the delicious free organic k-tea that came with our rent check each month. 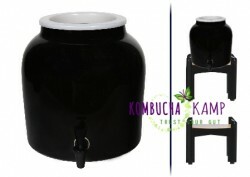 So did my neighbor, who enjoyed sipping the Booch after yoga class as it made her knees feel better. My husband was hooked. All of a sudden, I was struggling to keep up with the demand! It was time to educate! That first “KKamp” was just for friends and family, but the word spread, and soon everyone wanted a mushroom! 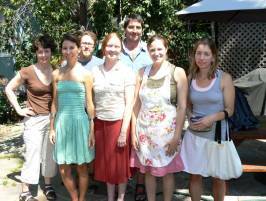 Kamp became a monthly endeavor by necessity! Since then I have taught thousands of homebrewers the Secrets I have learned. You receive just the right information you need to be successful. Okay, how come this thing has so many names?!?! 😉 A Kombucha culture is a living thing (or at least it is home to many living things) that is put into sweet tea to ferment and convert it into Kombucha tea. 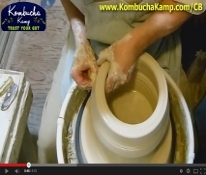 It might be known as a Kombucha mushroom, Kombucha starter, Kombucha SCOBY, Kombucha Mother or even Kombucha Baby. But these are all the same thing! 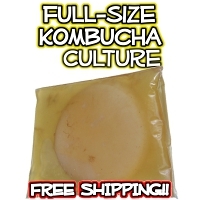 Kombucha Mushroom is actually a misnomer, it’s not a mushroom at all but a pancake of cellulose that houses bacteria and yeast, which is where the term SCOBY comes from. 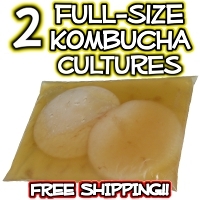 The name of Kombucha Mushroom probably comes from a misinterpretation of the original Chinese name, but it has stuck, and now many people call it Kombucha Mushroom Tea. 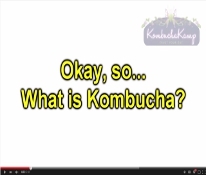 But how can a single Kombucha Mushroom be both a Kombucha Baby and Kombucha Mother? Well, aren’t humans both mother and baby at some point? 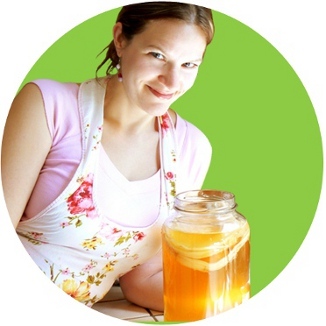 Kombucha Mothers just have a shorter life span, that’s all. They are nearly Kombucha Babies and Kombucha Mothers at the same time. Maybe we should stick to calling them Kombucha Mushrooms! 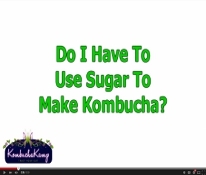 (just don’t call them Kombucha fungus please – even I have limits – lol) Okay, enough about the name, let’s find out how easy it is to make Kombucha Tea! This is the standard recipe for 1 gallon. 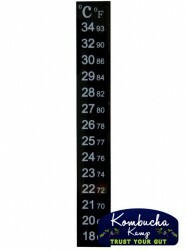 Scale up or down depending on the size of your vessel. 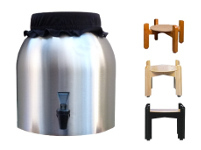 A brewing vessel – ceramic, glass, stainless steel or oak – you can use food grade plastic, but what with BPA’s, I prefer the others! Add hot water & tea bags to your chosen brewing vessel. Let steep for 10-20 minutes. 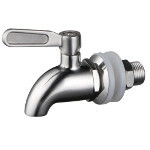 Fill vessel about ¾ full with purified cold water – the cold water will bring the temp of the hot water to a level where it won’t kill the yeast (they thrive at lukewarm). If tea is body temperature or below, proceed to the next step. If not, wait until it cools before completing the next step. in a free Download DIY Guide with Pics! 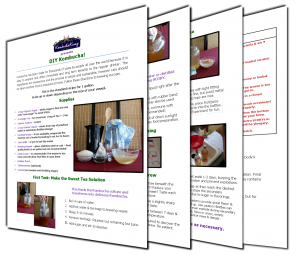 Download our DIY Kombucha guide and learn how easy it can be to make your own Kombucha today!